In one of the most bitter clashes in memory between the High Court of Justice and a representative of the State Attorney’s Office, Supreme Court President Dorit Beinisch on Sunday accused the state of violating a ruling handed down 11 months ago regarding the route of the West Bank security barrier between the Palestinian village of Bil’in and the urban settlement of Modi’in Illit. 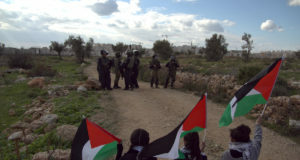 The conflict came during a hearing over a motion for contempt of court filed by attorney Michael Sfard on behalf of Bil’in residents after the state failed to find an alternative route to the one rejected by the High Court on September 4, 2007. A few days after Sfard filed the contempt of court petition, the state presented a proposal for a new route. Sfard fired back that the new route ignored all of the guidelines the court had given the state in its September ruling. Attorney Avi Licht, representing the state, disagreed with Sfard. All three justices – Beinisch, Supreme Court Deputy President Eliezer Rivlin and Ayala Procaccia – disagreed with Licht. In its September 4, 2007, ruling, the court criticized two elements of the barrier route between Bil’in and Modi’in Illit. In the northern part of the segment, the original barrier route had left all of Wadi Dolev, a fertile area of hundreds of dunams owned and farmed by Bil’in villagers, on the Israeli side. At the same time, the southern part of the original barrier route was designed to protect Phase 2 of a new housing development project called Matityahu East, even though the land earmarked for Phase 2 was empty and there were no detailed plans for its development. The court ordered the state to move the barrier to include as much of Wadi Dolev as possible on the Palestinian side and said the route should not be built on Palestinian-owned land. Regarding the southern segment of the barrier, the court ordered the state to move it so that Phase 2 of Matityahu East would be on the Palestinian side. According to a new proposal presented by the state to the court on Sunday, the northern segment of the barrier was shifted so that some of the Wadi Dolev land would be on the Palestinian side. 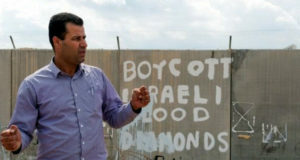 However, the route of the barrier continued to be on privately-owned Palestinian land. Meanwhile, the state did not shift the southern segment of the barrier at all, so that all of Phase 2 of Matityahu East remained on the Israeli side despite the court’s instructions. Licht said the state could not follow the court’s guidelines regarding the southern segment because that would mean that the barrier would be situated only a few meters away from the houses of Phase 1 of Matityahu East and this was too great a security risk. 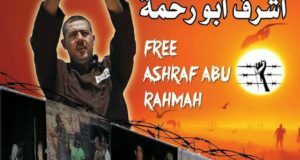 He argued that the state had adhered to the court’s order not to take Phase 2 of Matityahu East into account in determining the new route but that the result had been the same – all of Phase 2 remained on the Israeli side of the barrier. The difference was that this time, the route had been determined to protect the existing Jewish residents of Phase 1 and not the future Jewish residents of Phase 2. Beinisch ruled that the state had indeed violated the court’s ruling from September. She said that if the state had concluded that it could not obey the ruling because of security concerns for the residents of Phase 1 of Matityahu East, it should have come back to the court and told it so, instead of claiming that the alternative route was in keeping with its allegedly reasonable interpretation of the court ruling, which, she repeatedly insisted, was not reasonable. Toward the end of the heated discussion, Licht informed the court that the state had come up with an alternative barrier route that would provide security for Phase 1 of Matityahu East and still leave some of Phase 2 on the Palestinian side of the barrier. Beinisch gave the state 45 days to present its new proposal. She gave Sfard three weeks to respond to the proposal after it is presented to the court. Beinisch added that the court would hand down a ruling on whether to penalize the state for contempt of court at the end of the hearing on the alternative route.